effective when used with Direct Sequence or Frequency Hopping Spread Spectrum. 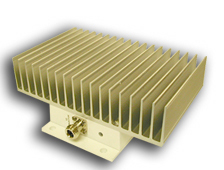 5.8GHz Amplifiers 500mW Full Duplex 802.11a 250mW 802.11a 500mW 802.11a 1W MSeries M58 802.11a High Iso. signal power and maintains the output power typically at 10W. Frequency (RF) power output level by reading the input signal power. Product Note: The Amplifiers listed on this page may also be referred to as: 2.4GHz amplifier, 2.4GHz amp, 2.4 amplifier, 2.4GHz signal booster, 802.11 amplifier, 802.11b amplifier, 802.11g amplifier, 802.11b/g amplifier, 802.11 signal booster, 802.11b signal booster, 802.11g signal booster, 802.11b/g signal booster, 4.9GHz – 5.3GHz – 5.7GHz – 5.8GHz amplifier, 4.9GHz – 5.3GHz – 5.7GHz – 5.8GHz amp, 4.9GHz – 5.3GHz – 5.7GHz – 5.8GHz amplifier, 4.9GHz – 5.3GHz – 5.7GHz – 5.8GHz signal booster, 802.11 amplifier, 802.11a amplifier, 802.11h amplifier, 802.11a – 802.11h – 802.11j amplifier, 802.11 signal booster, 802.11a signal booster, 802.11j signal booster, 802.11a – 802.11h – 802.11j signal booster, 900MHz amplifier, 900MHz amp, 900 amplifier, 900MHz signal booster, ISM amplifier, ISM signal booster, antenna booster, AGC amplifier, antenna amplifier, Bi-directional amplifier, bidirectional amplifier, hotspot amplifier, integrated amplifier, PoE amplifier, RF amplifier, RF power amplifier, RF signal amplifier, video amplifier, wifi amplifier, wi-fi ® amplifier, wireless amplifier, wireless LAN amplifier, and wlan amplifier. The Amplifiers listed on this page may also be referred to as: 900MHz amplifier, 900MHz amp, 900 amplifier, 900MHz signal booster, antenna booster, AGC amplifier, antenna amplifier, Bi-directional amplifier, bidirectional amplifier, hotspot amplifier, integrated amplifier, PoE amplifier, RF amplifier, RF power amplifier, RF signal amplifier, video amplifier, wifi amplifier, wi-fi® amplifier, wireless amplifier, wireless LAN amplifier, and wlan amplifier. The use of all radio equipment is subject to radio regulations in each country. It is the responsibility of the purchaser/installer/operator to insure that only approved equipment/systems are deployed. For the ISM band (900MHz, 2.4GHz, 5.7GHz) equipment manufactured, sold/or used in the USA, FCC Title 47, Part 15 governs the sale, lease, use and manufacture of equipment (wireless LAN cards, wireless Access points, amplifiers, etc.) and prohibits the same unless such equipment is used in the FCC-certified system configuration with which such equipment is authorized.